One of our most innovative, popular thinkers takes on - in exhilarating style - one of our key questions: "Where do good ideas come from?" 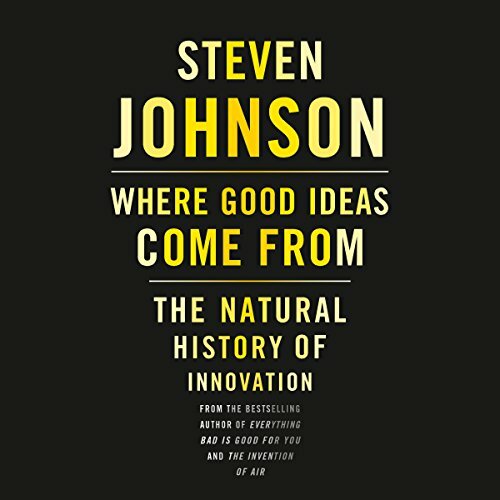 With Where Good Ideas Come From, Steven Johnson pairs the insight of his best-selling Everything Bad Is Good for You and the dazzling erudition of The Ghost Map and The Invention of Air to address an urgent and universal question: What sparks the flash of brilliance? How does groundbreaking innovation happen? Answering in his infectious, culturally omnivorous style, using his fluency in fields from neurobiology to popular culture, Johnson provides the complete, exciting, and encouraging story of how we generate the ideas that push our careers, our lives, our society, and our culture forward.